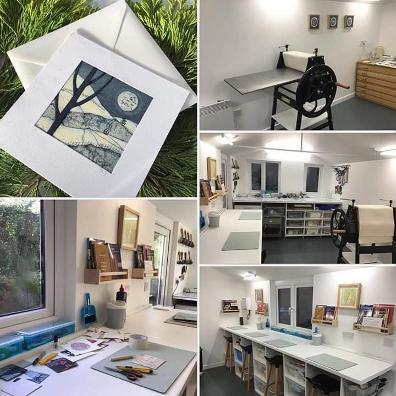 from my printmaking studio in Staplehurst. If none of these dates suit you and you and friends would like to come together, I may be able to run a workshop on another day. Please contact me through this website to enquire. through the Contact page on this website if you would like me to run a COLLAGRAPH WORKSHOP for your local art group. Groups between 4 and a maximum of 10 people.